If you will be in Sydney between September 19 and October 12, you can get involved at street level – literally – in the city’s grass-roots art program, Art & About Sydney. 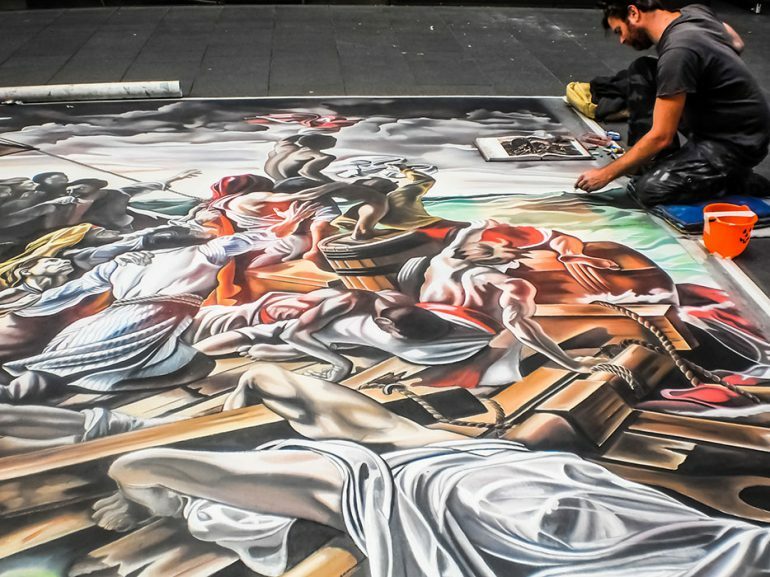 Indoors and outdoors, down laneways and up thoroughfares, in public squares and tiny parks, this exciting annual art event calls on the public to make and shape art in unconventional spaces and places all over town. The result – a chance to get involved, discover new places, and make your mark on how Sydney-siders see their very own city. Last year’s event featured installations like a virtual clothes-lines airing ‘dirty laundry’ secrets on 30 illuminated bus shelter panels – from a little-known Sydney cafe rendezvous spot to a guilty confession we’d never told the family, like “I was the one who forgot to feed the fish”. Another public collaborative project was Tag Town. This scavenger hunt had participants running about town in search of target locations via a mobile app. Find the target, snap it on your phone (as creatively as you like! ), and upload it to the site. The result was a collection of photographs of Sydney locations for posterity. The 2013 program also featured innovative photo exhibitions and competitions, displays, readings and artists’ markets at the city’s museums and libraries, and 24 giant neon snails transforming public squares. Look for the release of the 2014 Art & About program at artandabout.com.au.